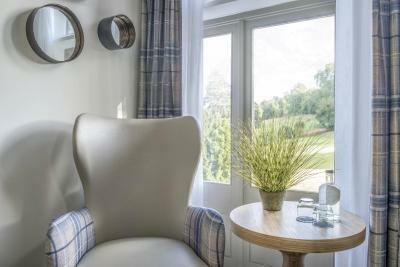 Lock in a great price for Wotton House - rated 8.6 by recent guests. Lovely bedrooms, beautiful grounds- we loved everything! The grounds were amazing. So many places to explore. The house itself had so much to see inside as well. Lots of little nooks to sit and read or jst to relax and a midevilesque atmosphere. Staff were so welcoming and friendly. Loved the decor and the beautiful grounds. Magical at night. Loads of variety at breakfast. Grounds beautiful. Rooms clean and contemporary. Dinner was tasty and good value. Loved how accommodating the staff were! Made us feel special on our stay and we would definitely stay again! Also, the bed was very comfortable and the room with the garden view was beautiful. Wotton House is nestled in 13 acres of listed gardens in the Surrey countryside, 3 miles outside of Dorking. 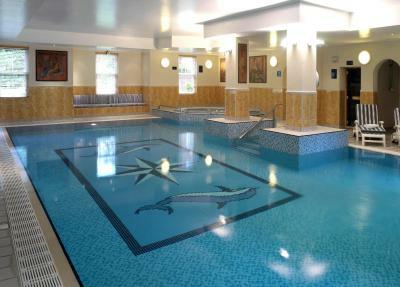 It boasts an indoor pool with a range of other leisure facilities, and a restaurant that sources local produce. 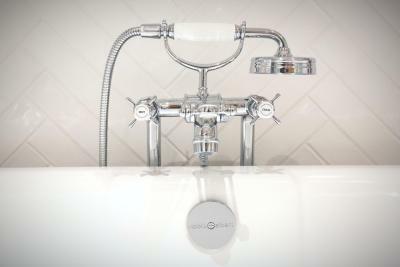 Guests have free access to all Wotton House's health facilities including gym, sauna, steam room and tennis courts. Only 15 minutes’ drive from the Junction 9 of the M25, Wotton House is also a 30-minute drive from Epsom Racecourse and Gatwick Airport. Wotton House has been welcoming Booking.com guests since 22 Nov 2006. When would you like to stay at Wotton House? Most of our standard rooms are featured our original mansion house featuring traditional décor and style, with a flat-screen TV and free WiFi. 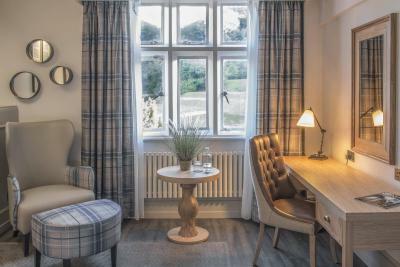 Our spacious Superior Double Rooms are set in the original 17th century manor house. These rooms feature natural finishes, individual details, a flat-screen TV, and free WiFi. 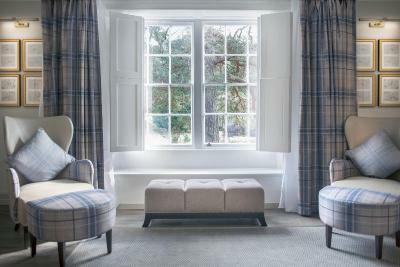 Our spacious Family Rooms are set in the original 17th century manor house. These rooms feature natural finishes, individual details, a flat-screen TV, and free WiFi. 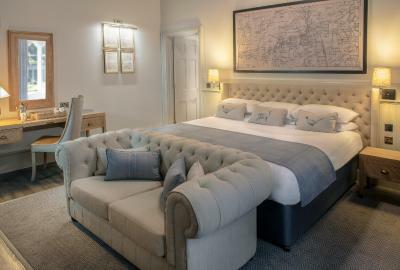 Our spacious Superior Twin Rooms are set in the original 17th century manor house. These rooms feature natural finishes, individual details, a flat-screen TV, and free WiFi. Our Deluxe King rooms combine the latest technologies with a modern, sophisticated style. All Deluxe Rooms feature free Wi-Fi and offer fluffy bathrobes and slippers, while some also benefit from stunning garden views. Our Deluxe Double rooms combine the latest technologies with a modern, sophisticated style. All Deluxe Rooms feature free Wi-Fi and offer fluffy bathrobes and slippers, while some also benefit from stunning garden views. Our Deluxe rooms combine the latest technologies with modern, sophisticated style. All Deluxe Rooms feature free Wi-Fi and offer fluffy bathrobes and slippers, while some also benefit from stunning garden views and king size beds. 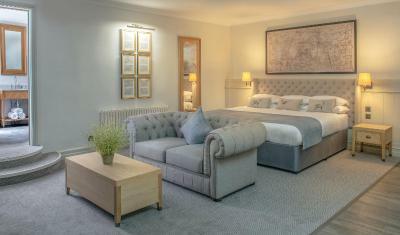 The luxurious suites at Wotton House are located in the historic mansion house. All suites feature views of the sweeping driveway or the magnificent Italian gardens and come with fluffy bathrobes and slippers, as well as king-size beds, roll-top baths and free Wi-Fi. Wotton House is the Winner of the UK Wedding Awards 2016 for Best Country Venue. House rules Wotton House takes special requests - add in the next step! Wotton House accepts these cards and reserves the right to temporarily hold an amount prior to arrival. Saturday and Sunday between 09:00 and 11:00 and between 15:00 and 17:00. Breakfast is served from 07:00 until 10:00, Monday to Friday and 07:30 until 10:30, Saturday and Sunday. Lunch is served from 12:00 until 14:00, Monday to Friday and lunch is not available on Saturday or Sunday. Dinner is served from 18:00 until 22:00, Monday to Sunday and last orders are taken at 21:45. Can't think of one thing i didn't like. The only niggle was that the extractor fan wasnt working in the bathroom, but that was no big deal. Swimming pool left your skin feeling itchy. Some parts of hotel tired with flakey paint on walls. Breakfast pretty standard. Outside of hotel looks outstanding, inside has a feel of “chain hotel” which was a bit disappointing. Room had a few cobwebs from ceiling.Breakfast could’ve been better,pastries dry,hash brown soggy. The room could have been a little bigger since it was a deluxe double. Leisure facilities very very tired, dated and shabby. Let the rest of the hotel down. The first ‘superior double’ we were allocated 404 could only be a double. Small dark and pokey. Would not desire to stay in this room and spend any relaxation time there. We were moved.